This Video will explain about how to add Breadcrumb Navigation Widget in Blogger. Best of it, all you need to do is spending 3 minutes of your time. What is breadcrumb? Breadcrumb is a form of handy text based navigation that will provides easy and simple navigation, not only for reader, Search engine also like it. London, England (CNN) -- Facebook dropped a bombshell on the tech industry last week in the form of a Web-wide "Like" button and the launch of the "Open Graph." Facebook Like button provides users to make connections to your blogger and share content back to their friends on Facebook with handy HTML code. you can see how many people liked your blog post. this is the easy way to add facebok button below every post and also live example. 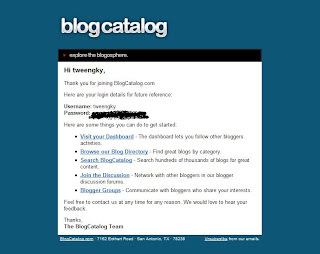 Did you delete your blogcatalog registration email? 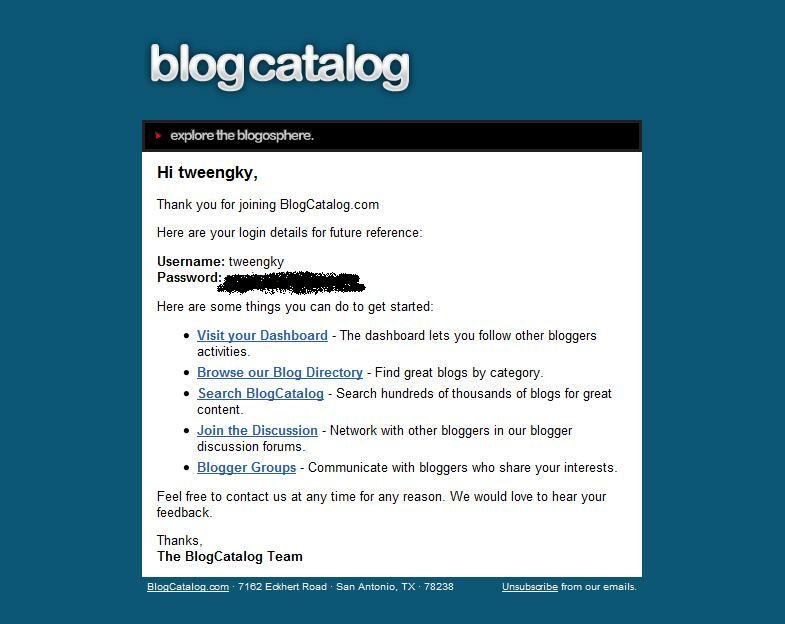 I'm so surprised due to blogcatalog registration email, it's clearly show your password. Tweengky's Blog Copyright © 2010. Theme images by follow777. Powered by Blogger.